In second pAsuram – AzhwAr says “More than the thirumalai (divine hill), enjoying the dhivya dhESam that is attached to it (thirumAlirunchOlai) is the ultimate goal”. See nanjIyar‘s introduction. Alternatively, this can be taken as AzhwAr speaking about thirumalai itself. One should not be attached to the words and actions (that reveal their fallen nature) of intelligent (in providing their body to acquire wealth and based on their own self-defects) and youthful damsels who mesmerize others; instead one’s goal should be to praise the well-known place of thirumAlirunchOlai and rise; this thirumAlirunchOlai is the divine mountainous abode of azhagar emperumAn, having many tall peaks that are touched by the moon; azhagar emperumAn has unsurpassed beauty due to having SrI pAnchajanyam (Sanka – divine conch) that is blowing (due to the joy acquired from the togetherness). This pAsuram is spoken by AzhwAr towards his mind/heart. sadhiriLa madavAr thAzhchchiyai madhiyAdhu – Give up your lowly acts towards intelligent youthful damsels; Alternative explanation – not being attached to the intelligent youthful damsels who have lowly activities; if one considers these aspects, there are certain results; in the after-life, one will go to hell; in the current life, this is looked-down by learned persons. These worldly pleasures are unlike the bhagavAn’s aspects which are fully existing for the pleasure of his devotees and are most enjoyable as explained in jithanthE sthOthram “… bhakthAnAm” (His names, forms etc exist for his devotees). These damsels are very intelligent to know how to capture others and keep them trapped. They would even pretend that they would die in separation. They capture others by showing their intelligence and youthful charm. Previously AzhwAr said “kiLaroLi iLamai” (rising youth) – these are like crocodiles that will capture the young men of this particular age. adhir kural … – Due to being in constant touch with the divine hands of emperumAn, pAnchajanyam, the divine conch is always making joyful sounds. Due to the togetherness, he (emperumAn) too is named as sangaththazhagar (sangam means togetherness and conch in thamizh). emperumAn considers in his divine heart that thirumAlirunchOlai is an ideal place to stay and take care of his devotees and thus he considers this divine abode as “mine”. 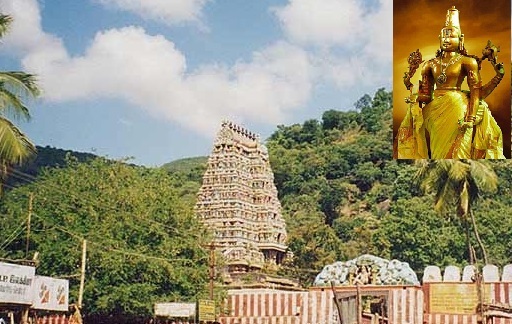 madhi thavazh kudumi – thirumalai which has peaks that are being touched by the floating moon like pregnant women would climb a hill (slowly and elegantly). padhi (abode) can be explained as mAlirunchOlai itself or the divine abode in mAlirunchOlai. padhi adhu Eththi ezhuvadhu payanE – Engaging in actions that are fitting to the nature of the AthmA and being uplifted is the goal; others are non-goals. payan – prayOjanam (goal) – prApyam (goal to be reached). This entry was posted in thiruvAimozhi, thiruvAimozhi 2nd centum on June 23, 2016 by Sarathy Thothathri.